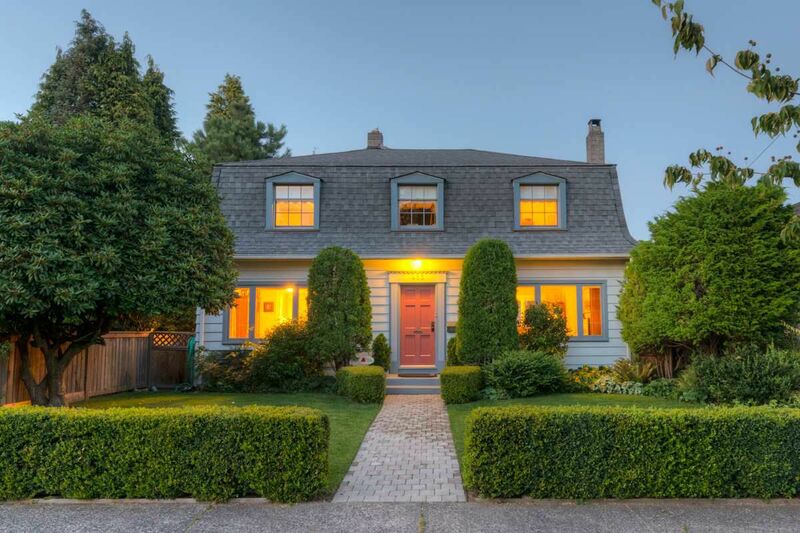 Don't miss your opportunity to own this well-cared-for heritage home in New Westminster's Queens Park neighborhood. This wonderfully maintained & mechanically upgraded late-forty's home has three natural bedrooms above the main floor. The mansard roof style allows for full height bedrooms, one has a very large walk-in closet with full size window. Generous master bdrm with walk-in closet. Full bath above main with original fixtures. Beautifully refinished hardwood on main. Dedicated dining room with inlaid hardwood floors. Large living room with wood-burning fireplace & original mantle & hearth. Great rec-room down, workshop/storage & laundry room. The rear yard is an oasis with mature trees, shrubs & gardens with a patio. Walking distance to Schools shopping and transit. Walk score "91".